How To Care For Your Skin And Hair During Chemotherapy? According to experts, cancer patients can start caring for their skin an week before the first chemotherapy session and go on with it. This will minimize the problems and help them face lesser amounts of symptoms. Dry and scaly skin is the most common issue that people need to deal with during chemotherapy. It should be prevented in order to avoid severe inflammation and infection. Stay away from hot baths or showers, especially for a long period of time, as it dries up the skin gradually. Use lukewarm water instead. Pick a mild soap or body wash that is not loaded with chemicals or fragrance. Natural herbal products are always gentle enough. Make sure that your laundry detergent is not very harsh to your skin. 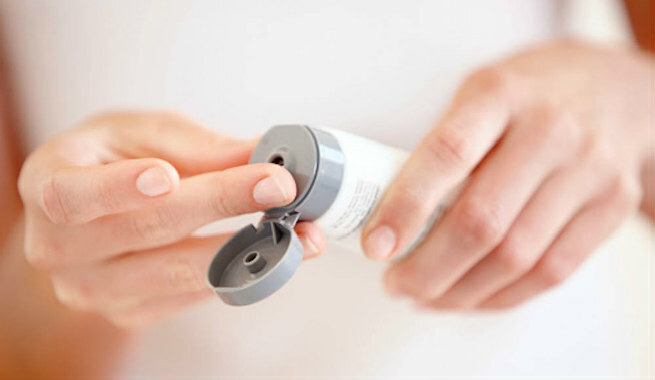 Choose moisturizer over body lotion for avoiding skin dehydration. The consistency of a moisturizer is always thicker than that of a lotion, which offers better (deeper as well as longer) hydration. Moisturize your skin at night. It heals and softens dry skin to the maximum level. There are certain prescription and OTC ointments as well as creams containing ammonium lactate, which boost the natural moisture of extremely dry and flaky skin to a great extent. Just ensure that you apply them within half an hour after having a bath. A dry, flake skin often turns into an itchy and irritated one, while going through chemotherapy. The situation may go worse due to some chemotherapy drugs and hence, should be taken care of as soon as possible. OTC hydrocortisone creams are a common choice of patients for getting rid of itching. They can provide relief at an initial stage, but are not so effective in case of acute inflammation. There are some steroids, oral medicines and anesthetic drugs too, which can cure serious issues of itching more efficiently. But you must consult with your doctor prior to using these. Never ever use a loofah or body scrubber in shower. Also, stop scratching or picking your skin every now and then. Keep all sorts of cosmetics, perfumes, etc. at bay. A few steroids used in chemotherapy can make the skin prone to sunburn or acneiform rash caused due to photosensitivity. While protecting your skin by yourself from the sun, you should seek medical attention too. Try to steer clear of prolonged sun exposure as much as possible. Always use a sunscreen with SPF 30 or more and reapply it as necessary throughout the day. Make certain that the product offers protection from both UVA and UVB rays of the sun. Wearing full-sleeve clothes, hat, gloves, etc. will also help you cover the treated areas completely. Sometimes, the patient may experience temporary changes in the color of his or her skin during chemotherapy. Tanning, redness or similar other alterations must be informed to the doctor and treated accordingly. Thinning hair is that one problem, which bothers cancer patients undergoing chemotherapy the most. Moreover, once hair starts to fall out, the bare scalp may turn out to be extremely sensitive gradually. It is crucial to take good care of the care scalp and thinning hair in order to maintain them in a healthy way. If your scalp turns dry, flaky and itchy with mild to severe redness, stop using all sorts of hair care products immediately. It is even more applicable to those strong-hold products that are gel-like and sticky by nature. Do not go for any type of hair styling, especially dying, coloring, perming, and so on. There is no need of washing your hair every single day. It will increase your hair fall badly. Rather, cleanse your scalp every 3-5 days or twice every week. Choose a very mild shampoo (like baby shampoo) for washing your hair, which will not be harsh to your scalp. Be gentle with your existing hair. Do not rub it when towel-drying. Also, make use of a wide-toothed comb for styling. Avoid exposure to extreme temperatures as it may worsen your scalp sensitivity. If you have to go outside, cover your scalp and existing hair with a headscarf, cancer hat or turban. If your scalp is completely exposed and you need to go outdoor bare-headed, apply a thick layer of sunscreen to your scalp so that it doesn’t get affected by the rays of the sun. So, here are the dos and don’ts you must follow for your skin and hair, if you are going through chemotherapy. Take care and stay beautiful!